Wisdom teeth are one of the biggest mysteries of the mouth. Why? Because we don’t know exactly when and how they’re going to grace us with their presence. Every person has a different experience with wisdom teeth and there aren’t any hard or fast rules to when or how they’ll come in. Some people don’t even have wisdom teeth! Knowing what to expect and what to look for can help you avoid pain, problems and expensive procedures. Really intense pain that radiates toward the ears, eyes, or head may mean an abscessed tooth. Impacted wisdom teeth are prone to infection, but an abscess may also be from tooth decay. Jaw pain or pain in the back of your mouth may be from your wisdom teeth coming in, but could also be a symptom of TMJ. Pressure or throbbing in your gums in the back of your mouth. Swollen gums or visible cuts in your gums. Persistent earaches or headaches may occur when wisdom teeth are trying to make their way down and there’s not enough room in the mouth. Pressure can build up around the surrounding teeth and tissues causing significant pain in the mouth and beyond. A common misconception is that a change in the alignment of your teeth could be wisdom teeth causing crowding. However, there is no clinical evidence to support this popular theory. Non-lingering sensitivity to sweets, hot drinks, cold drinks, ice cream, and even to cold air may indicate an exposed root which is the most common type of tooth pain. Mild to sharp pain when you bite down, a visible hole in your tooth, or staining is likely a cavity. A persistent toothache or sensitivity that lasts for at least a few minutes after exposure to hot, cold, or sweets may be a sign of nerve damage. Pain is our body’s way of telling us something’s wrong. It comes in many different forms, rearing its ugly head at the most inopportune times and can radiate from its source making us unsure of what it is that really hurts. Wisdom tooth pain is no exception. While not everyone will experience discomfort, if you’re between the ages of 16 and 25, you should be aware of the symptoms associated with erupting wisdom teeth. 1) Not all wisdom teeth need extraction. Wisdom teeth are the third molars in the back of your mouth. Some of them push through with no problem, some become impacted, some are positioned perfectly, and some simply wreak havoc. In other words, not all wisdom teeth are created equal! In any given family, one sibling may need all four extracted while another may experience absolutely no wisdom tooth pain or problems at all. Don’t make assumptions based on what your friends or brothers and sisters have been through. Instead, consult your dentist Dr Donan in Fresno CA for an expert opinion on whether you should have your wisdom teeth removed. If your dentist in Fresno CA sees extraction as a possibility, he or she will refer you to an oral surgeon who will give you definitive answers. 2) Not everyone experiences wisdom tooth pain. It’s true! Just because you have wisdom teeth doesn’t mean you’re going to have pain, problems, or even need an extraction! There are many lucky teenagers and young adults out there who have plenty of room in their mouths, experiencing only minor irritation or no pain at all. 3) Impacted wisdom teeth are more likely to become infected. While impacted wisdom teeth are quite common and don’t always cause pain, they are more likely to become infected. An impacted tooth is one that gets stuck in the bone or gum tissue when it’s trying to make its way out. When the tooth is even partially erupted it is suddenly exposed to a new set of bacteria inside the oral cavity. The emerging tooth can create hard-to-clean pockets where these bacteria can build up, eventually triggering infection. Signs of infection include redness, swelling, pain, and bad breath. If you experience any of these symptoms, make sure to contact your dentist Dr Donan in Fresno CA! 4) Wisdom teeth can cause problems with the rest of your teeth. You may be wondering, “If these teeth are so wise, then don’t they do what they’re supposed to do? Why can’t they all just come in quick and straight and painlessly? And why do some people have room for them and some don’t?” The simple answer is that no two mouths are the same!Some of us develop to our full potential in terms of the size of the oral cavity. Those of us that do not develop our oral structures fully will not have room for these late erupting teeth. Some of us develop to our full potential in terms of the size of the oral cavity. Those of us that do not develop our oral structures fully will not have room for these late-erupting teeth. If there’s not enough room in the mouth, they may need to be extracted even if you aren’t experiencing any pain. Also, don’t assume that you just take out just the impacted or infected wisdom teeth. As opposing teeth impact your bite, it might make sense to extract a healthy wisdom tooth as well. 5) Not all wisdom teeth come in at the same time. Your wisdom teeth may not come in at the same time as your sister’s or your best friend’s did. And all four of yours may not come in at once either! One tooth may be impacted while three others may emerge with no problem. Two may come in at once and the other two might take another year or two. Dental x-rays and regular exams are the best way to stay aware of their progress or lack of. 6) Extraction doesn’t have to be a bad experience. We’ve all heard the horror stories of impacted, infected wisdom teeth being extracted, resulting in patients writhing in pain, slurping horrible-tasting smoothies (check out this recipe for a tasty alternative!) for days upon days. Just keep in mind, someone else’s bad experience (which, more times than not, is grossly exaggerated) has absolutely no bearing on how you will recover. And, honestly, most people don’t have post-surgical complications. The best thing you can do to ease your mind is to do your research. Make yourself aware of the process, the procedures, and the probable timeline for recovery. Talk to your oral surgeon and don’t be afraid to ask questions! Like so many other things in life, when you know what to expect, it’s a lot less stressful! My article on wisdom teeth surgery can help you feel more prepared. 7) Early detection of impacted or infected wisdom teeth prevents problems. Think for a minute of your home’s roof. You’re on a ladder cleaning the leaves out of your gutters when you notice a couple of shingles have gone askew. Your instinct is to kind of push them back in place and hope for the best. But, ignoring the little things can cause a domino effect and, before you know it, you have a real problem – buckets of water in your living room! Alternatively, you can nip it in the bud and call in a professional roofer to fix the problem while it’s still small. The same thing goes for your mouth. Impacted wisdom teeth are not always problematic, but are more likely to become infected. And infections should never be ignored! Also, the earlier you have your wisdom teeth extracted, the easier the surgical procedure will be as the teeth are rounder and less developed. 8) Home remedies can help with infections and wisdom tooth pain. While many of us are quick to grab the bottle of painkillers, there are many natural ways to help reduce pain and treat infection. Ginger, turmeric, and basil are known for their anti-inflammatory properties while peppermint and garlic are associated with helping to alleviate tooth pain. 9) Not everyone has wisdom teeth! If you’ve been wondering when your wisdom teeth are going to emerge, just know that you could be waiting a lifetime. Some people do not have any wisdom teeth, some only have two, and still others have three! Wisdom teeth are actually the most common of all teeth to be missing. Likewise, there’s a small population of people who are born with an extra set of wisdom teeth. While everyone will have a different experience with wisdom teeth, it doesn’t have to be a traumatic encounter. 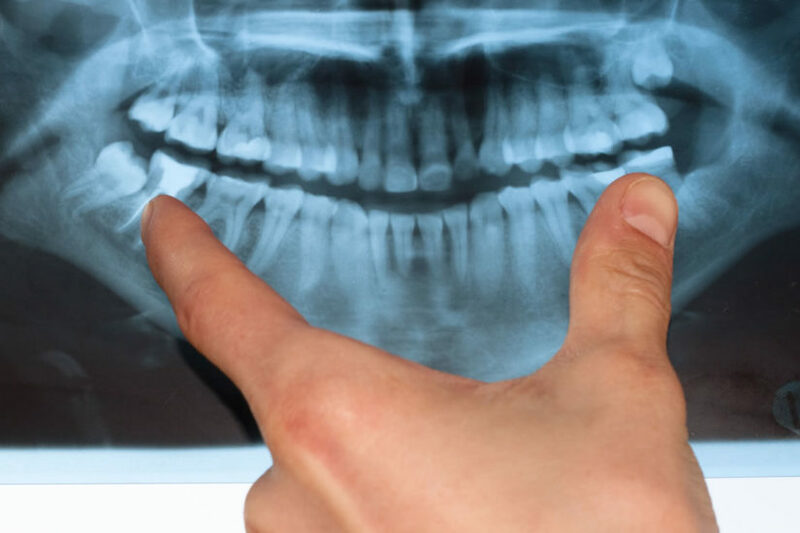 Stay on top of the state of your wisdom teeth with regular x-rays and dental exams and be sure to talk with your dentist in Fresno CA, dr Donan if you have any questions or concerns. And, if you’re wondering… the amount of wisdom teeth you have or don’t have is no indication of how wise you will grow up to be!